At Reinig Insurance Solutions, we not only provide the appropriate insurance solution to our specific client’s needs, but we also supply the risk management tools, education, and protocols to help reduce or eliminate the exposures that can result in liability or property losses. One of the best tools we can provide our clients is our recommended liability waiver and hold harmless agreement. To download the most recent version of our waiver and release form, use the GET INSTANT ACCESS form below. Other services we provide include step by step instructions that you and your staff can follow in the event of a property loss or an injury to a member at the club. In addition to our forms and best practices advice, we also offer a library of Ken’s Articles that includes many pertinent topics and risk management tips that he has encountered in the 25 years he’s been insuring health and fitness facilities. Please take time to visit our Articles – you are sure to find a topic that will benefit your overall risk management objectives. Finally, Ken Reinig, is available for private consultation to club owners, medical fitness center directors, and equipment manufacturers to discuss a specific risk management game plan for your business. Even if you do not purchase the insurance through Ken, he can still provide the risk management tools to help protect your valuable asset(s) and ultimately provide peace of mind. Protect your family and business. Contact us to get a free health club insurance quote. At Reinig Insurance Solutions, we understand that insurance is just one piece of the risk management equation needed to protect your business. We are committed to helping educate the fitness industry as a whole…not just our clients. We strive to help reduce risk and protect the club owners, trainers, and equipment manufacturers. This not only provides peace of mind for the business owners, but ultimately creates a safer workout environment for their members. This website contains many FREE resources and we encourage you to use them. For example, you can download our "How To File a Claim" form where we provide step by step instructions that you and your staff can follow in the event of a property loss or an injury to a member at the club as well as an "Incident Report" form and a "Witness Report of Incident" form to ensure all your bases are covered. As an example of our educational materials, we have put together a document dedicated to the specific liability needs of Small Group Personal Training (SGPT) "Group Training, CrossFit, Boot Camps Injuries and Liability." There are over 50 different articles and forms available for your use...at no charge! 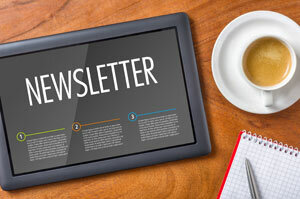 To continue keeping up with all the latest news and trends in the industry and PROTECT YOUR BUSINESS from property loss or exposure and to GET INSTANT ACCESS to bonus resources, we recommend that you use the sign up forms below to receive regular updates on ways to keep you, your clients and your business healthy and safe. Thank you for visiting our web site. We look forward to working with you. against the possibility of devastating injuries and lawsuits. providing you the tools you need to reduce risk and manage liability. One of the perks that you, as a club owner provide to your employees and independent contractors is that they can work out in your facility pretty much anytime that they want to. Let’s face it, running a gym today comes with the threat of punches from places you couldn’t even imagine just a few years ago. An unexpected, unprepared for punch could knock you for a loop so hard you and your club might never recover. Ken Reinig, speaker and health club insurance expert, encourages health and fitness club owners to review their insurance policies in light of new trends taking root in the industry to make sure they are not subject to liability claims. Ken Reinig, speaker and health club insurance expert offers a list club owners will want to check twice and take seriously to avoid liability claims in the coming New Year. Ken Reinig, speaker and health club insurance expert, urges club owners to get cyber liability insurance protection for their clubs since only one cyber liability claim can destroy a club that’s not protected. “Reinig Insurance Solutions is the best insurance for gym owners and coaches. The first time I picked up the phone and had a five-minute conversation with the team at Reinig Insurance, I was completely blown away. They taught me things I didn’t know about protecting myself, my coaches and my business that I didn’t know were necessary. All the guesswork and stress that comes with owning a gym and what type of coverage is needed was gone. They understand parts of the fitness business that no other insurance company does. At Koko FitClub, we have locations in 30 states, 2 countries and growing. As COO and Fitness Business Coach, it’s my responsibility to look at businesses differently and ensure every gym owner adequately protects themselves as well as their businesses. So I refer them to Reinig. Because their exceptional customer service, how amazingly fast and responsive they are.